Cape Elizabeth High School class of 1984. This first part of this post is about where I grew up. The second part is about LinkedIn. I grew up in Cape Elizabeth, Maine. Cape high’s most famous graduate is marathoner Joan Benoit Samuelson. We moved to Cape Elizabeth (from Ashland, Massachusetts) in 1972, when I was six years old, just before the start of first grade. My parents wanted to raise us in a good neighborhood in a good town with good schools. Cape Elizabeth was a great place to grow up. There are two state parks and Fort Williams, which would be a state park in any other town. Maybe there is a law that limits towns to a maximum of two state parks. 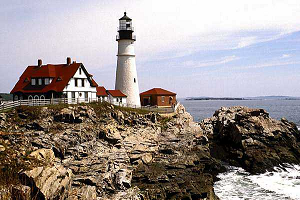 For Williams is home to Portland Head Light, one of the most photographed light houses on the Atlantic coast. In 1978, the infamous Blizzard of ’78, the white wooden building that housed the fog horn was washed out to sea by a huge wave. That old horn had a low rich tone which we could hear on foggy nights. The horn was replaced by new higher pitched one and placed in a brick building. I never liked the sound of the “new” horn. 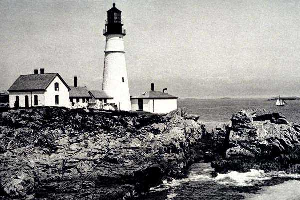 Whenever I look at photos or paintings of Portland Head Light, I look for a white or red building closest to the ocean. White: pre-1978, red: post-1978. The following are two photos, one from circa 1900 the other from 1998. 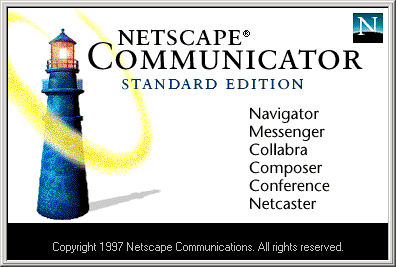 The third image is the splash screen for Netscape Communicator 4.04 from 1997. I have always maintained that the Netscape lighthouse is based on Portland Head Light. You be the judge. My friends and I used to find ways into the old bunkers at Fort Williams – before the bunkers were covered over to make way for parking lots and picnic tables. In the summer, we stocked the pond with fish. In the winter, we played hockey on the same pond. I remember seeing then Vice President Bush give a speech at the rededication of Fort Williams sometime in the early 1980s. Cape Elizabeth was – and is – a wealthy town. But we weren’t among the rich. Growing up poor in a rich town gives you an interesting perspective on life. We benefited from a variety of government programs, including free school lunches and government cheese. I knew early on that the only way I was going to college was if I got good grades – and a full scholarship. I remember quite vividly the day that I got my acceptance letter from MIT, because my father was, at the time, unemployed. But he kept the faith and things worked out in the end. I got an Air Force ROTC scholarship, worked while I was in college, and spent four years in the Air Force to pay for college. I feel quite lucky to have spent grades 1-12 in the same school system. I have vowed to provide the same opportunity to my children. We moved back to the Boston area (from Denver) just a few days before my oldest son started first grade. On his first day of first grade, we took him to Alexander’s (a local restaurant) for breakfast, because we has not yet unpacked our belongings. LinkedIn is very useful for keeping in touch with people who move (or change jobs) more frequently that you can update your address book. Some people also search for references to themselves on the Internet. So if I can’t find them, maybe they can find me. In this case, LinkedIn may prove useful in planning our 25th high school reunion, or our 30th reunion. I attended my 20th reunion a couple of years ago and really enjoyed it. It was nice to see people comfortable in their careers and I enjoyed catching up with old friends. My friends Peter Carroll and Tom Rich are both professors. Plus there were lawyers, doctors, sailors, artists, world travelers, and more. So here are the approximately 143 people from the class of 1984 at Cape Elizabeth High School (CEHS). The list is not perfect. I transcribed it from my yearbook and might have made mistakes. Many of the women have married and change names. But maybe it will be useful to someone, for reunions or otherwise. Paul A. Aceto, Louis J. Alexander, Laurie E. Allen, Scott Edmund Anthony, Robert James Apt, Jennifer Lisa Babcock, Brent Harris Backman, Blaine Christopher Barbera, Carol Suzanne Barnes, David Wayne Barrett, Heidi Anne Bean, Timothy James Beaudoin, Meredeth Jean Barron, Charles E. Beecher, Scott Alan Beedle, Lance Douglas Bell, Hiram Morrison Benedict, Melissa Lynne Berry, Mitchell Kenneth Black, Debra Lynn Blanchard, John Menzies Bostwick, Anne Marie Brady, Erin Patricia Brennen, Mary Beth Brita, James Paul Brownrigg, Alice May Burrows, Peter James Carroll, Randy Keith Clarey, Richard Brian Clonan, Mathew A. Cobb, Donald Andrew Cohen, Anne Louise Conley, Sara-Jane Connors, Paul Andrew Costanzo, Peter Anthoni Cremonese, John Todd Davis, Kathleen Patricia Dempsey, Deborah Jeanne Dimillo, Leanne Duca, Mary Sue Dufresne, Elise Richardson Dwinell, Timothy Roderic Dyer, Michael Joseph Matero Edgar, Joseph Patrick Egan, David Michael Elwell, Constance Kimberley English, Angela Marie Ercoli, Brian J. Feehan, Alicya M. Fogg, Roberta Lynn Fogg, John Vincent Foley, Deborah Anne French, Julia Anne Gaspar, Jill Amy Gillander, Bill Goettel, Marc Adam Greenberg, Douglas Christian Gross, Michelle Renee Guptill, Patrick Kenneth Hagen, Amy Elizabeth Hall, Paul Daniel Hannemann, Susan Mary Hannigan, Johanna Marie Harmon, Lisa Carroll Hastings, Patricia Maureen Hatt, Traci Lynn Haynes, Amy Carol Head, Erik John Heels, Leigh Lambie Hefferan, Cynthia Holmes Henrickson, Susan Margaret Hitchcox, Sara Louise Hopkins, Deborah Jean Hunter, Stephanie Jean Hunter, Jeffrey Ormond Irish, John H. Jackson, Mark Scott Jackson, Trina Marie Jacques, Daniel Vernon Johnson, Jennifer Ruth Johnson, Daniel Robert Jolicoeur, Kathleen Marie Jordan, Keith Lloyd Jordan, Mark D. Jordan, Christina Emer Kilgallen, Jeffrey Normand Lacourse, Richard C. Lane, Jennifer Ann Lawsure, Marian Norell Libby, Carl Lester Loeffel, Carolyn Jane Lucas, Erika Anne Maddaleni, Kristine Maria Maiorano, Riikka Johanna Mannervaara, Lisa Frances Marquis, Lorna Amanda Martin, Mark Andrew Matrazzo, Bradley Carl McCann, Cynthia R. McHugh, Dawn Marie Messer, Felix Christopher Mitchell, John M. Monroe, Mark William Montpelier, Kennith Morrin, Sylvia Joanne Most, Scott Murray, Kathleen M. Nelson, Bradley Dickson Ousback, Danny Neil Parker, Elizabeth Ann Perry, Christopher Mark Pettee, Marshall Cameron Pillsbury, David Martin Pizzo, Jeffrey B. Pomroy, John Powers, John Joseph Profenno, Thomas C. Rich, Debra Jane Robinson, Thomas Stephen Roche, Troy Derek Rogers, Tersa Marie Rumo, Katherine Burke Russell, Amy Elizabeth Scheffler, Timothy Francis Schroeder, Mark Steven Schwartz, Natasha Kathleen Serrage, David Leigh Shallow, Devlin Patrick Sherlock, Susan Lee Smart, Scott David Smith, Kevin John Stephens, Jeffrey E. Stone, Barry Andrew Strom, Peter David Supple, Stacey Elisabeth Teas, Mark Pilgrim Tourangeau, Michael David Verrill, Renee Margaret Villandry, Erin Louise Ward, Susan Elizabeth Welch, Jennifer Williams, Michael Stephen Williams, and Stephen Forrest Young. Erik, found your info quite by accident, but a pleasant, yet not unsurprising, update. I remember you well–even your essay on…was it sawdust?…for MIT. 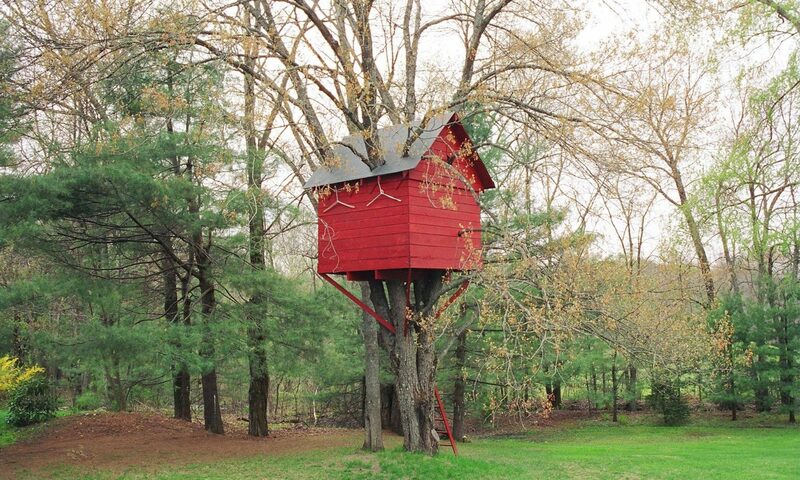 I am still in the trenches at Cape–have no inkling of retirement. Schools change; teaching remains the same exploratory adventure, daily–like life! Thanks for your kind words. I managed to accidentally delete your note (and your email address), hence this general reply. Hope all is well!